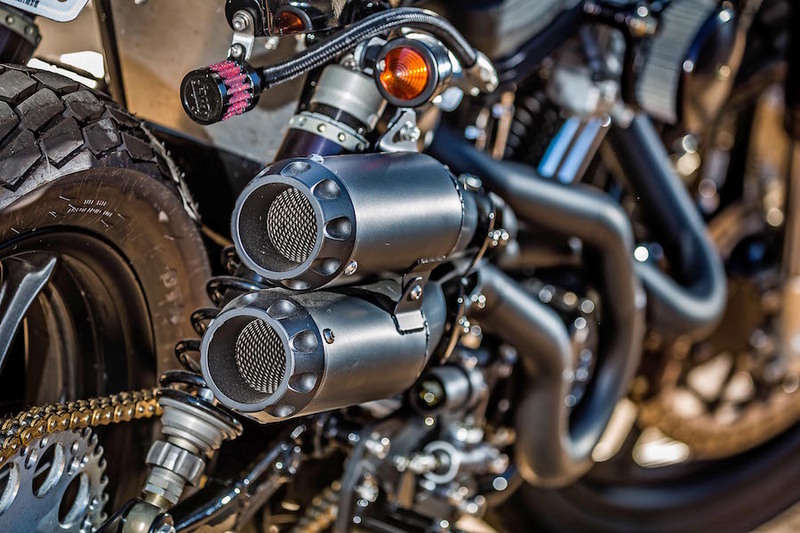 The fact that San Diego’s Mule Motorcycles nearly exclusively produce performance trackers, means it knows exactly what it’s doing. And not just trumped-up backyard jobs. Every single one is a masterpiece in proportion, style and, ultimately, performance. There are a lot of people trying to achieve what Richard Pollock produces and none can come close to the exceptional work he does. 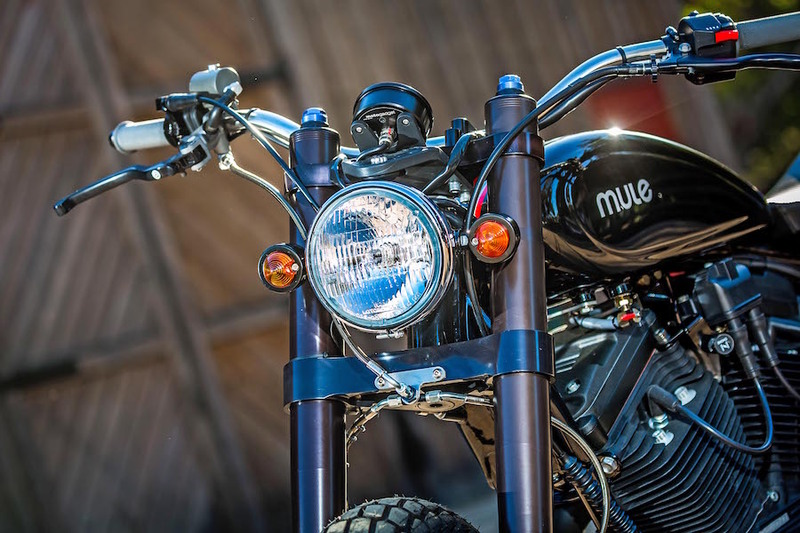 Exhibit A: the latest bike from Mule Motorcycles is based around a 1991 883 Sportster, it’s called Rupert’s Ride and it really puts the Sport back into Sportster. Don’t get Richard started on what passes for a street tracker these days. 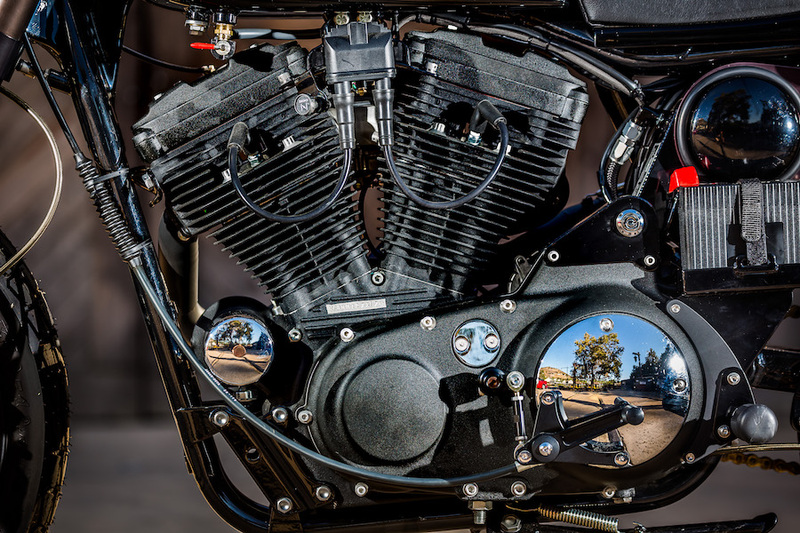 “That term gets thrown at all sorts of builds that have absolutely no link to dirt track or high performance,” he says. “It’s an overused style description which has diluted the true meaning.” Rupert’s Ride is, in his opinion, pretty close to what is a true street tracker. He’s being modest. He is an authority. And he’s got a host of bikes under his belt to prove it, all of which are as detailed and as gorgeous as this one. Understandably, his work is in high demand. The bikes were delivered to Mule and torn down immediately. The only thing retained would be the swingarm, the engine’s bottom-end and the chassis. The the decision to use the standard frame is a strategic one. 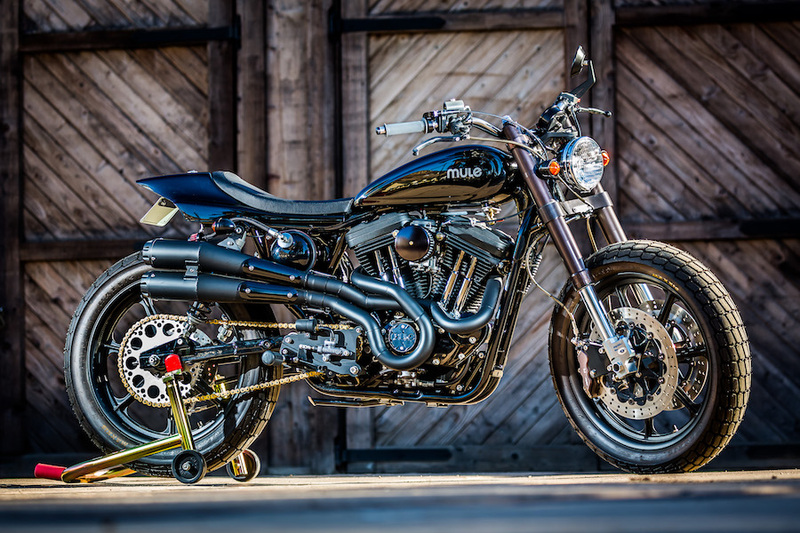 So with the bike completely stripped down, Mule bought an all new Harley-Davidson Screamin’ Eagle top-end and cams and sent the bottom-end to Darkhorse Crankworks in Wisconsin for new rods, bearings, seals and balancing. They then cut the back half of the frame off and moved the shocks forward six inches. The swingarm was also lengthened. 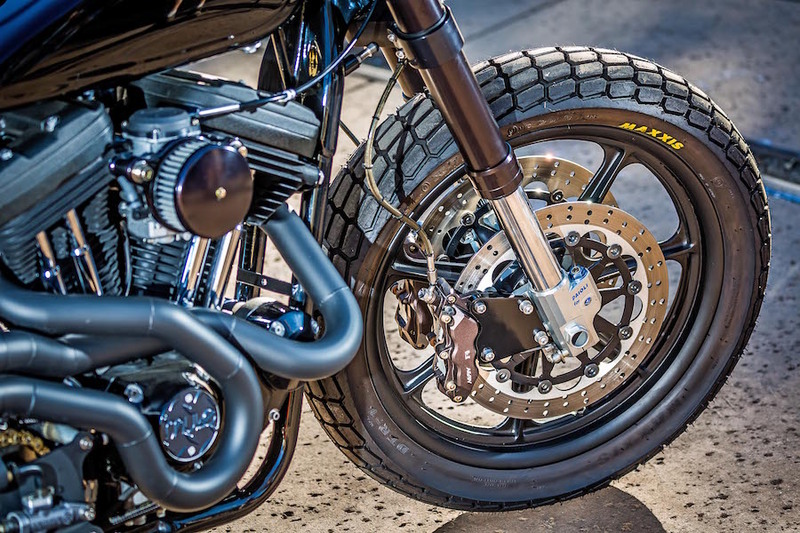 One of the biggest difference between a standard Sporty and Rupert’s tracker is the suspension and brakes. 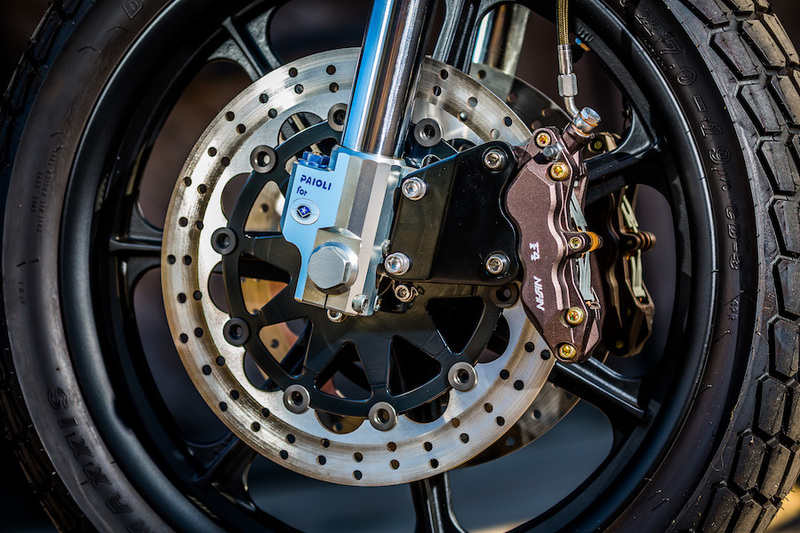 The bike now has Paoli upside-down forks in custom triple clamps and is brought to a halt by some whopping six-piston calipers taken from an MV Agusta F4 Superbike. 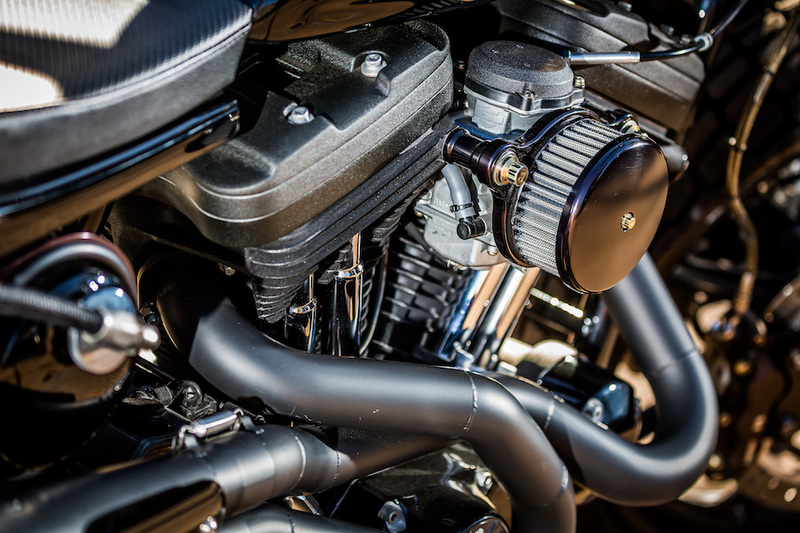 One of the neatest touches on the bike is the front master cylinder designed in-house. It was machined by the team to fit a Yamaha clutch cover window at one end with a small fitting out the bottom, and screw in the top for filling. I haven’t seen anything like it before; it’s about as custom cool as you could ever get. 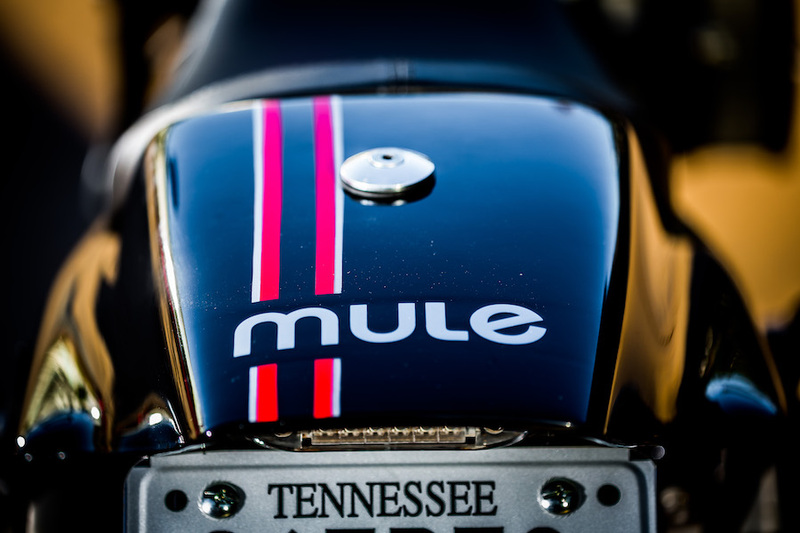 Everything else about the bike is typical of Mule’s no-compromises approach to bike building. It’s got a gorgeous set of two-into-two high stainless pipes that have been ceramic coated black, and which bend perfectly around the bottom-end. 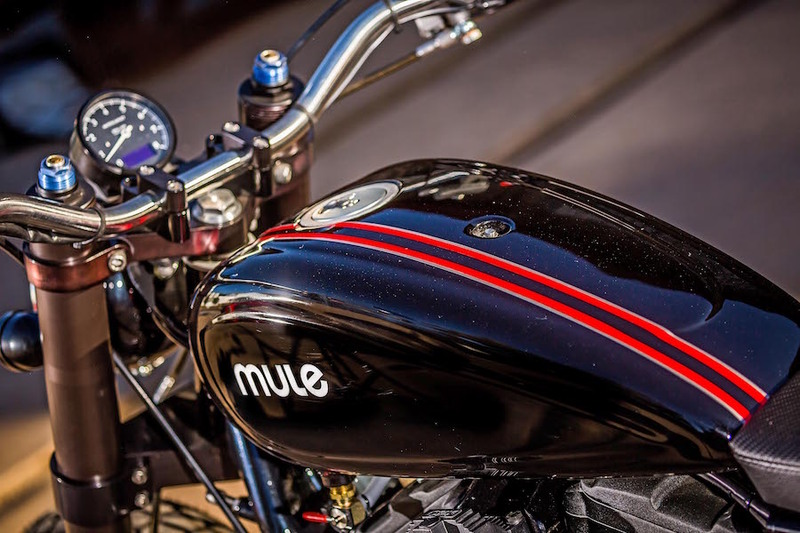 The tank is aluminium, the ’bars are Mule’s own design and instrumentation comes via Motogadget’s tidy Chronoclassic. The blacked-out colour scheme is a bit of a topic of contention with Pollock. “I’m not a fan of murdered out, all-black bikes,” Pollock says. “I think it’s been done to death in triplicate. But that’s what the customer requested.” The red stripes were added down the centre as his own little strike against the empire. 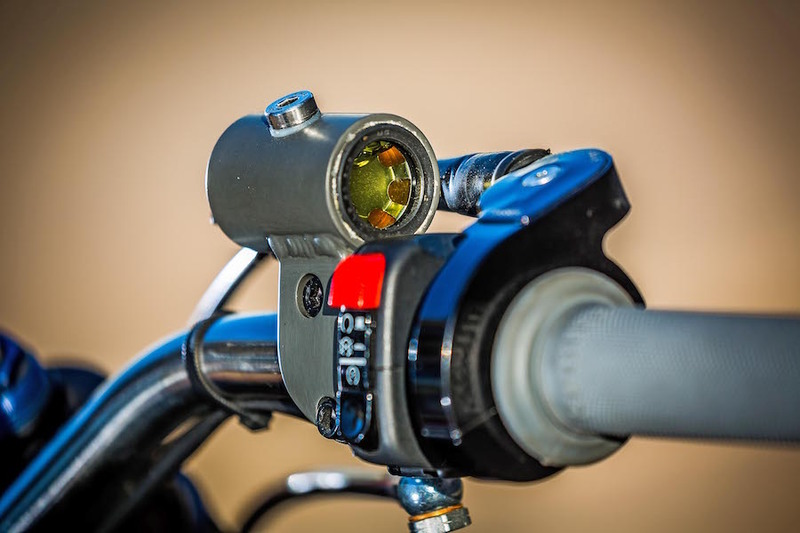 Rupert’s tracker is the culmination of every lesson learned by Mule Motorcycles over the last 20 years. “It’s user friendly, lighter than stock, better brakes, better handling and much faster,” Pollock offers.